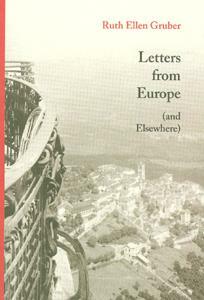 Award-winning American writer Ruth Ellen Grubner contributes regular “Letters from Europe” (and sometimes elsewhere) to the U.S. magazine The New Leader. Mizing travelogue with social and cultural commentary, she delves under the skin of European society to provide a closely observed, uniquely personal take on topics ranging from politics to pop music, from architecture to local cuisine. This volume collects a decade of her colorful, insightful reports – from 1997 to 2007. The datelines range from Warsaw and Sarajevo to Bucharest, London, Budapest, Brno, Nuremberg, Paris, the tiny village of Morruzze, Italy, and more.